The biggest issue with London and indeed the UK as a whole is the lack of sunshine. The UK is very cloudy. Even in the sunniest months the vast majority of places don't exceed 50% of possible sunshine - only the southern coastal strip does. I will agree there cheese, average sunshine hours for London in December is a measly 52 hours. I know it's only really light for around 8 hours a day anyway, but that still gives around 240 hours of possible sun per month....which we see on average 24% of. The winter really drags it down, no wonder people feel so miserable! Yes the sunshine is the only really disappointing factor about our climate. If only we had more widespread sunshine it would be an ideal country to live in for so many reasons! I share the thoughts of other members. A couple of days of hot weather is fine by me, but certainly don't want it to last long. Living in London the heat can be pretty horrible in the evenings (and when travelling). i sometimes wonder if people have short memories of have never lived through a 'long hot summer'. you get used to it... hot becomes the norm, pretty much like cold is every winter (normal cold) . i dunno, i always feel the first cold of winter far more then later cold. ive felt that with summer warmth too..
one things certain....moaning about it wont change a damn thing! lol. ps i worked outdoors through the long hot summers of 75, 76, 83, 89, 90, 95, 03... etc. I tend to agree Mushy, I also spend most of my daylight hours outdoors come Summer or Winter and you do get used to it. A good sun hat helps see me through the heat as theres nothing worse than heatstroke! Very true. 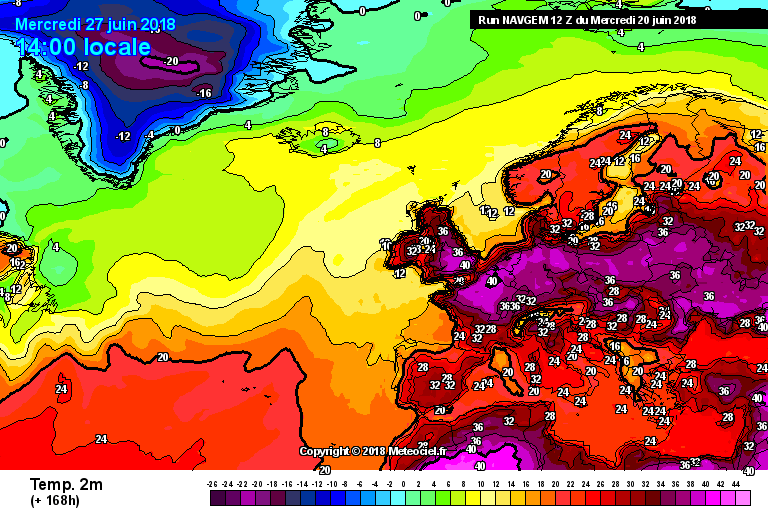 The UK/NW Europe would be far more pleasant if only there were more hours of sunshine throughout the year. Winter here is frequently incredibly grey and depressing, then summer comes and with it high hopes of long, sunny days but we often can’t seem to shift the clag either. Next week looks great, some hot and sunny days. Shame I’ll miss it as I’m off to Spain on Friday. ....that would classed as a fridge trust me! I have one. 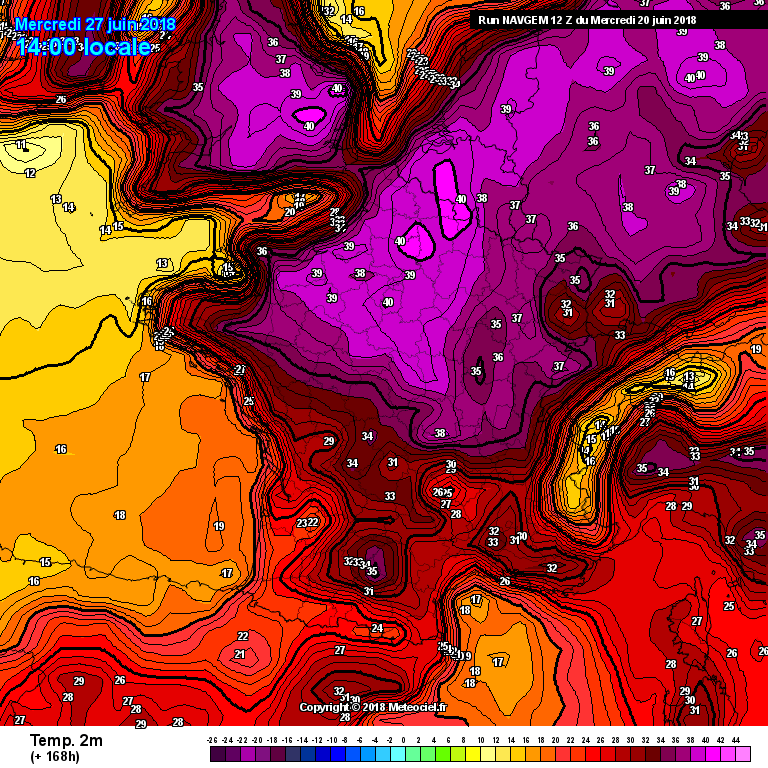 Helps up to 26c or so, but the current outputs suggest overnight temps may not drop below 20c even in the NW. Doesn't really "cut it" in conditions like that. not sure what a cheap fan achieves? it just pushes warm air round does not cool the environment ..only A/C will do..you can pick them up relatively cheap, easy to set up and they work wonders. You've been at NAVGEMS control's haven't you Gav? That output of 20c mins in the north west looks unlikely, it’s very rare to see those sorts of mins there.